Caught between the war raging around them and the battles within, two souls long for peace—and a love that remains true. Lt. Georgiana Taylor has everything she could want. A boyfriend back home, a loving family, and a challenging job as a flight nurse. But in July 1943, Georgie’s cozy life gets more complicated when she meets pharmacist Sgt. John Hutchinson. Hutch resents the lack of respect he gets as a noncommissioned serviceman and hates how the war keeps him from his fiancée. While Georgie and Hutch share a love of the starry night skies over Sicily, their lives back home are falling apart. Can they weather the hurt and betrayal? Or will the pressures of war destroy the fragile connection they’ve made? Learn more at Sarah’s website. 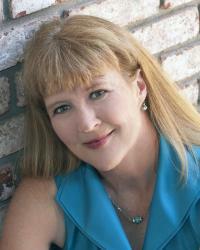 Sarah Sundin is the author of "With Every Letter" and the Wings of Glory series. In 2011, A "Memory Between Us" was a finalist in the Inspirational Reader’s Choice Awards, and Sarah received the Writer of the Year Award at the Mount Hermon Christian Writers Conference. 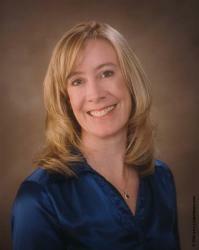 A graduate of UC San Francisco School of Pharmacy, she works on call as a hospital pharmacist. During WWII, her grandfather served as a pharmacist’s mate (medic) in the Navy and her great-uncle flew with the US Eighth Air Force in England. Sarah lives in California with her husband and three children. Visit www.sarahsundin.com for more information. 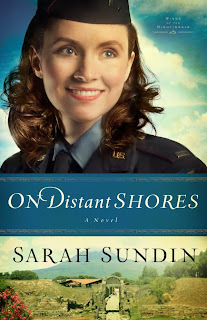 Another great captivating read by Sarah Sundin, she does not disappoint! We are able to look at some of the things that happened in the first book, but from another view point. With this book we are in Italy, and I felt the bombs hitting the shore. Sarah had me right in the middle of the war in this story. This is Lt. Georgiana Taylor's story, and also Sgt. John Hutchinson. Fraternizing with an officer is not allowed. Never mind that John has more education than most of the other officers, they think the Pharmacy Corp is below them. Huh? Anyway Hutch and his Dad Stateside wage a battle to make Pharmacists Officers. Hard to have a romance when you are not allowed to be together...not even hold hands. Both Georgie and Hutch are engaged to other people when they meet, and both are aware each is off limits. We also have another engaging character in this book...a child Lucia, a seven year old, orphan, who was injured by an Army truck. Come along on another great adventure, one with God's hand on each of them. Be ready for a lot of war time action, with a bit of romance thrown in. Catch up with Georgie's friends from the first book, and if you haven't read it, be sure to treat yourself! I for one cannot wait until the next book it out! Thanks for sharing your gifts Sarah! 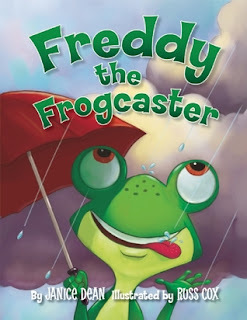 Freddy the Frog loves learning about the weather, and he’s known for having the best predictions in town. But what happens when the town picnic is almost ruined by a storm that catches the local frog caster by surprise? Freddie has to step in to save the day! Well-known Fox News broadcast meteorologist Janice Dean pens this exciting and hilarious tale about an aspiring weather caster who can’t keep his eyes off the sky. Children and adults will love the charming frog world Freddy lives in, and the fun science lessons he shares, with an activities section in the back. Known as “Janice Dean the Weather Machine,” Janice Dean has been predicting the weather on Fox News Channel and Fox Business Network since 2004. She is a trained meteorologist and she loves to share her scientific knowledge, and the inspiration that led to her passion for weather, with kids and adults alike. Before Fox, she had a long career working at various radio and TV stations as a DJ, anchor, and host. I have a first and third grader, who really enjoyed this story. The book cover said it is geared to K through 2nd grades, but the 8 year old also enjoyed the story. The beautifully, and brightly colored illustrations really drew them in. Also being boys, they love frogs, and here is one telling weather...to cute. There are also some great weather facts in the back of the book, and found my 8 year old was very interested. He loved the information, with pictures on the different types of clouds. Very educational. I received this book from Regnery Publishing, Inc., and was not required to give a positive review. Book 3 in the Postcards from Misty Harbor Inn series. Three sisters. A charming inn. Hints of mystery and romance. And a gorgeous seaside setting. Escape to Misty Harbor Inn. As Nantucket reaches the pinnacle of its summer glory, and the Marris sisters welcome guests at Misty Harbor Inn, youngest sister Sam Carter enters her mother’s cobbler recipe in the Summerfest baking contest. But she faces a formidable opponent, a past winner who is determined to keep her title even if it means stooping to dirty tactics. Can Sam’s newfound faith help her rise above the fray and reach out to this lonely woman? Meanwhile, an elderly guest arrives who knows the inn’s history, and the sisters are stunned to learn that their late mother lived there as a child. But she told them she’d never been to Nantucket until her honeymoon! Through the woman’s reminiscences and photos, the sisters make an intriguing discovery — not only about the mysterious Hannah Montague, the young woman who disappeared from the house in 1880, but also about their own family history. Readers will delight in the inviting Nantucket setting and be enthralled by the adventures of these sisters who reunite to bring their mother’s Misty Harbor dreams to life. More about the series here. 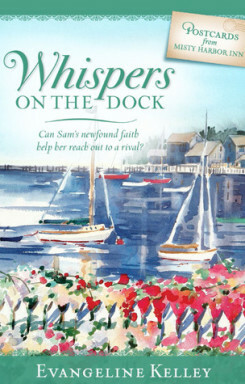 Welcome to the blog tour for book three in the Postcards from Misty Harbor Inn series, Whispers on the Dock (Guideposts Books). Come back to Nantucket and be enthralled by the final installment of the cozy intrigue of Misty Harbor Inn. Enter to win the entire set of Postcards from Misty Harbor Inn. Enter today by clicking one of the icons below. But hurry, the giveaway ends on August 31st. 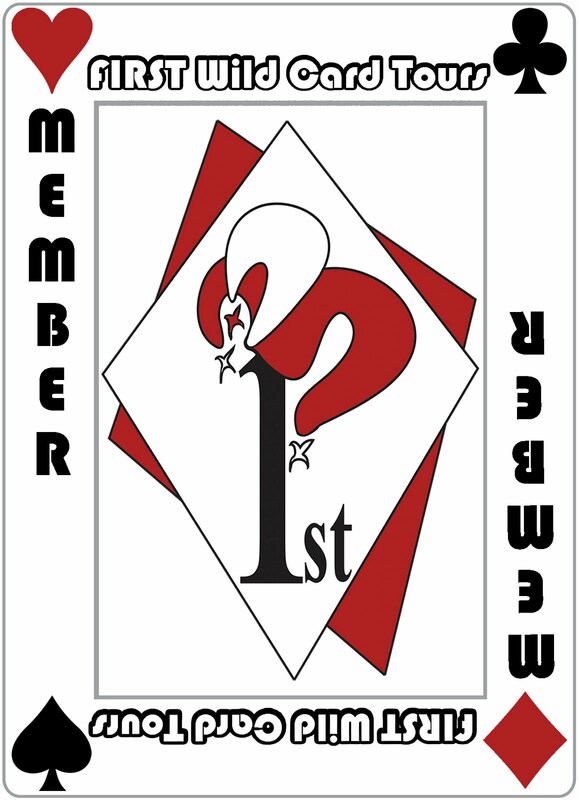 All winners will be announced September 2nd at the Litfuse blog. Don’t miss a moment of the fun; enter today and be sure to visit the Litfuse blog on the 2nd to see if you won one set! Evangeline Kelley is the pen name for the writing team of Patti Berg, Pam Hanson & Barbara Andrews, and Camy Tang, the four authors who collaborated to create Postcards from Misty Harbor Inn. Each of them has published novels individually, but this is their first series together. Find out more about Evangeline at http://amzn.to/10d3FZM. 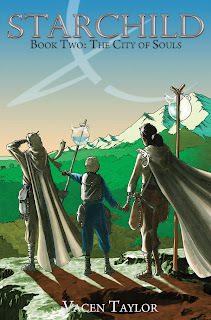 The third book in this wonderful series, hated it to end!! What a delightful visit with old friends. You feel like you are living there with them. Now I should let you know you can read this without reading the first two, but you would be depriving yourself of a lot of joy, and a great reads. There are a lot of answers to long asked questions that are revealed here. Some long buried secrets, with the right people put in their paths with answers, not a coincidence, God is with them. We can picture this beautiful Island thru their eyes, and I loved looking at the surf and flowers. There are mysteries to be solved, and the finding of hidden rooms in and out of the Inn. The Sister's come to terms with their decision to start new lives together at the Inn, and some struggle. Love the people who appear to be problems, and end up different. Don't miss this wonderful final visit with these sisters....could we have another book? Veteran authors Jennifer AlLee and Lisa Karon Richardson have combined their considerable skills to create the action-packed historical romance series, Charm & Deceit, for Whitaker House. 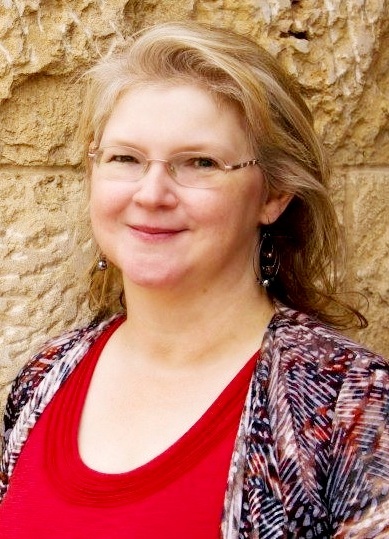 Jennifer AlLee is the bestselling author of The Love of His Brother (2007) for Five Star Publishers, and for Abington Press: The Pastor's Wife (2010), The Mother Road (April 2012), and A Wild Goose Chase Christmas (November 2012). She’s also published a number of short stories, devotions and plays. Jennifer is a passionate participant in her church’s drama ministry. She lives with her family in Las Vegas, Nevada. 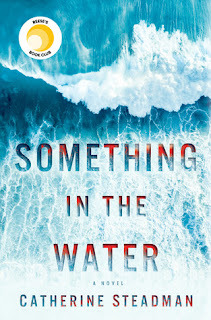 Lisa Karon Richardson has led a life of adventure — from serving as a missionary in the Seychelles and Gabon to returning to the U.S. to raise a family—and she imparts her stories with similarly action-packed plot lines. She’s the author of Impressed by Love (2012) for Barbour Publishing’s Colonial Courtships anthology, The Magistrate’s Folly, and Midnight Clear, part of a 2013 holiday anthology, also from Barbour. Lisa lives with her husband and children in Ohio. Pinkerton detective Carter Forbes returns in Book Two of the Charm & Deceit series. Set in Washington D. C. during the Civil War the action revolves around Juliet Button who does not believe in ghosts! She does believe in supporting her makeshift family of misfits. Having spent years as assistant to her illusionist uncle, Juliet possesses skills to make an audience believe the impossible and launches a career as “Miss Avila,” a medium. She wants nothing to do with agent Forbes who has the power to destroy the life she’s built. 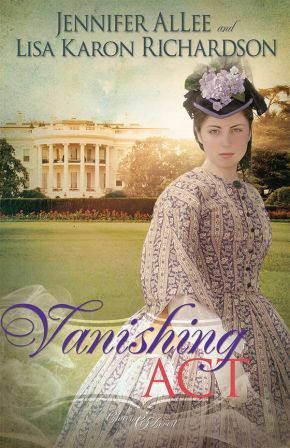 But when President Lincoln’s youngest son is kidnapped, and the first lady comes to her for help, she can’t refuse, even if it means facing Forbes, who knows far too much about her already. Juliet palmed the thin stack of note cards on the table and slid them up her sleeve. Her fingers trembled as they always did before a “show.” No matter. They’d be steady when it counted. Juliet pressed the heel of her hand against her stomach. The queasiness would pass, too. “This is all I found. It was in the lining of his hat.” Miss Clara passed her a folded ticket stub for Ford’s Athenaeum and a battered-looking letter with countless creases. Miss Clara glanced up from her examination of a tiny stain on Juliet’s hem and met her eyes. Miss Clara took the paper from Juliet’s trembling fingers. Why would anyone carry such a document in a place as obvious as a hatband? Though ostensibly he was in the heart of Union territory and it wouldn’t be required, the pass granted access anywhere. That meant he’d come from beyond Union lines, in rebel territory. But, in rebel territory, who would want such a pass on him? Juliet sat down at the kitchen table. Something about this man felt dangerous. The pass identified him as Carter Forbes. The name meant nothing to her, and yet something niggled at the back of her mind. She should know about him. Artie tilted his head and scowled in response. The question seemed to pain the old gentleman, and Juliet winced at her own callousness. The Professor used to draw enormous crowds through the power of his observations about people; but now, his eyesight was shrouded by milky white cataracts, which meant he noticed very little. It wasn’t an unusual reaction. Many new clients were hesitant and wanted her to prove her skills by astonishing them with information about themselves. Juliet inhaled and held the breath for a long moment before letting it out in a rush. She could do this. She had to do this. If she turned away clients, it wouldn’t be long before she and her makeshift family were turned out of their home. She just couldn’t go back to the vaudeville circuit. Not if she was to have any hope of keeping them all together. One day, she would find a better way to support them. But for now, well, she had no choice. Carter covertly examined his companions around the smooth oak table: a half dozen well-dressed ladies, most of them older than he, all but one of whom were in mourning; and a tall, rickety man with a snowy beard that reached his waist. The individuals in the group appeared to have at least a nodding acquaintance with one another, and they sat in companionable silence as they waited for Miss Avila. One of the ladies sniffed at this breach of social etiquette, but the others looked interested and friendly, as if the mere fact of their gathering in this room conferred a special kind of privilege. The bearded gentleman cleared his throat. “She’s not like some as you’ll find—them show-offs with their painted-up faces and tricks. She’s a good little gal, the kind my Emmeline would have taken under her wing. The kind I would have wanted for my boy.” His words choked off, and he blew his nose into a large handkerchief. Carter wanted to pat him on the shoulder or offer some reassurance, but he couldn’t allow himself the liberty. The fellow was austere and proud in his grief. Any expression of pity would likely inflict further hurt. How could someone take advantage of these poor people? The door opened, and a slip of a young woman entered. Her dark hair was pinned up in a neat chignon. She wore a simple cotton day dress with stripes of soft white and pale purple, unadorned except for a strip of lace edging the collar and running from the bodice to the belt line. The sleeves were certainly long, and roomy enough to hide all sorts of goodies. But he didn’t see any telltale bulges. He and the other gentleman stood at her entrance. “I’m sorry to have kept you all waiting.” Her voice was well-modulated and cultured. There was a whiff of foreign climes beneath the excellent English, but Carter couldn’t quite place the accent. If Carter didn’t know better, he would think she was genuinely concerned. Aha. She was fishing for information. “No, I’ve had no word. Been at least four months since his last letter.” His voice cracked. She approached her seat but stopped in front of Carter. “You must be Mr. Forbes,” she said pleasantly. “I thought you’d be able to tell me that, and all the mysteries of the world besides,” he shot back. A sharp gasp came from the lady on Carter’s other side. The disapproval in the room radiated toward him in waves. “My father, Jonathan Forbes,” Carter blurted out. Immediately, he regretted it. He didn’t want to sully Father’s memory with anything this woman might say about him. But another idea sprang to mind. “And my sister, Emily.” He smiled then, trying not to bare his teeth in the process. Just let her try to get out of this one. Miss Avila had a knack for giving a person her full attention. When she turned her lovely dark eyes to her manservant and motioned for him to close the curtains, it was as though a lighthouse beacon had moved away from his soul. As the room darkened, she leaned forward to light the single taper in the middle of the table. The manservant departed through a noticeably squeaky door. The candlelight flickered, casting grotesque shadows on the walls around them. It took all of Carter’s self-control to keep from rolling his eyes. Of course, if they held hands, no one would be free to catch whoever might cavort about in the darkness beyond the edge of the candlelight to help the woman create her weird effects. He took the hand she offered in his and held it tightly, to be certain she could not pull away. She made no attempt to do so. Her small, soft hand rested warmly in his, neither grasping nor trying to break free of his grip. Her eyes drifted closed. Carter sat rigid, straining every sense to discover her means of trickery. Except for the occasional tiny pop from the candle, there was no sound in the room. The silence allowed the sounds outside to press inward—a city symphony of rumbling carriage wheels, clip-clopping hooves, and shouting street hawkers. Somewhere across the street, a piano played a popular ditty. The world was going on all around them, but, shut away in this dark and silent room, they were set apart. At last, Miss Avila began to speak. She brought a message from the dead to each of the ladies in turn—words of enduring love, whether from a parent, husband, or child, that made them dab at their eyes with lace hankies. Finally, she asked for Catherine Greenfield. “I’m here, Harlan.” Miss Avila now spoke with a slight Southern accent. Carter raised an eyebrow. That was not the message he’d expected. Carter searched the woman’s face, but it gave away nothing. She waited patiently as the silence in the room again allowed the outside world to intrude. Carter clamped his lips together. She was cunning, he had to hand her that. He had counted on her revealing herself as a fraud by claiming to talk to Emily, who was very much alive and well. Once again, Miss Avila appeared to consult with an invisible host. Carter nearly let go of her hand. How could she possibly know about that? Miss Avila’s frown deepened, and she shook her head a couple of times. Then her eyes popped open. “They are gone.” She began to tremble from head to foot and slumped slightly, as if the contact with ghosts had sapped her strength. She clapped her hands lightly, and the door opened again with another squeal. Carter was nearly convinced that was by design, for all the other appointments in the establishment were in perfect taste. Why would she abide a squeaky door, unless it was a deliberate flaw designed to reinforce the idea that the sitters were entirely alone—that no one else could have entered or exited? Miss Avila bid her guests farewell, shaking their hands and giving each one a few personal words. She asked about family members and various ills. Took notice of a new bonnet and complimented a handsome necklace. The sitters seemed to brighten under her attention, as if she’d lit a lamp within them. At last, Carter alone remained with her. He realized afresh how small she was; how her eyes, though dark, were bright and…kind. Once again, she surprised him, and he fumbled for words. She cocked her head prettily, waiting for an answer. Carter decided it wouldn’t hurt to let her stew. He smiled back wolfishly but didn’t elaborate further. Miss Avila stilled like a rabbit scenting a nearby predator. Juliet didn’t dare move for fear she would give away her agitation. Mr. Forbes was even more than she’d bargained for. A tall man with neatly combed light brown hair and a well-groomed mustache of the same color, he was the sort who might be dismissed if one were fool enough not to notice the intelligence in his gray eyes and the muscular build beneath that stylish coat. Juliet was no fool. She would not underestimate this man. He wasn’t the type to approach a medium. That meant he’d had a very definite purpose in seeking her out. If that purpose had anything to do with the work that had earned him a pass signed by President Lincoln, she could find her goose cooked. On the other hand, it could very well have to do with his not-so-dearly-departed sister. As soon as he’d mentioned Emily, Juliet had made the connection. No wonder the name Carter Forbes was so familiar. But did he know of her acquaintance with his sister? At that moment, Juliet remembered something else Emily Forbes had mentioned about her older brother: He was a Pinkerton agent working for the government. That certainly explained the pass. What it didn’t explain was what he wanted with her. Once out of sight, she all but ran for the kitchen. Miss Clara and Professor Marvolo were seated at the table. “All done, dear?” Miss Clara slid a tray of cookies toward her. Juliet clenched her hands into fists. She could do this. She had to do this. They were counting on her. And while she was not certain they would benefit from having a Pinkerton on their side, it would be a total disaster to have a Pinkerton as an enemy. She returned to the sitting room. Once again, Mr. Forbes stood as she entered. Artie entered, carrying a tray of tea things. “Miss Clara asked me to bring this to you.” With his back to the agent, he gave her a broad wink. Juliet refrained from making a face at him. “And who is this strapping young lad?” Mr. Forbes asked in a too jovial voice. Forbes looked from her to Artie and back again. Juliet felt as if a hand had tightened around her windpipe. “Artie, go on back to the kitchen and help Miss Clara.” Her eyes warned him not to argue. Juliet knew immediately of whom he spoke. “Lord” Shelston was gaining quite a following in the area, but he could be cruel and exceptionally greedy, as well, draining his clients of their resources and then discarding them. Carter raised a questioning eyebrow, so Juliet rushed on. She could imagine Forbes’s thought process: weighing the pros and cons; deliberating what his sister’s well-being was worth to him; contemplating whether he could live with himself if he let a small fish swim free in order to catch the larger fish he was after. She grabbed it before he could change his mind and pumped it forcefully. The deal had been struck. Juliet Button has such a big heart, her family are not blood relatives, but heart family. She does have an unusual occupation of being a medium. She wants to help others who are in pain, and give them some comfort in their grieving. Enter Pinkerton Detective Carter Forbes, he meets Miss Avila, Juliet's business name. She helps him expose a fraud to help Carter's sister, and they begin a tentative friendship. The story is set during Lincoln's Presidency, there is dislike on both sides, and you never know who is really on the side of the North. There is a lot of action built into the book. We visit the White House, and find Mary Lincoln in mourning with the loss of another of her sons. When trouble hits again, Carter is helped by Juliet. She is a master of disguise, and helps others besides herself. What an amazing woman she is. You hope throughout the book for her to come out on top. This is one page turner, and you never know what is about to happen next, or who the bad guy is. Enjoy! I received this book through First Wild Card Book Tours, and was not required to give a positive review. 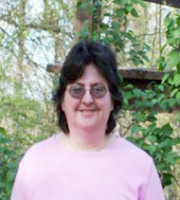 Laura V. Hilton, of Horseshoe Bend, Arkansas, is a pastor’s wife, mother of five, author and book lover. Her Amish fiction series books have sold thousands of copies and garnered praise from readers and critics for originality and authenticity. This is thanks, in part, to Laura’s Amish grandmother from whom she learned Amish ways, and her husband Steve’s family ties in Webster County, Missouri, who served as invaluable resources in her research. 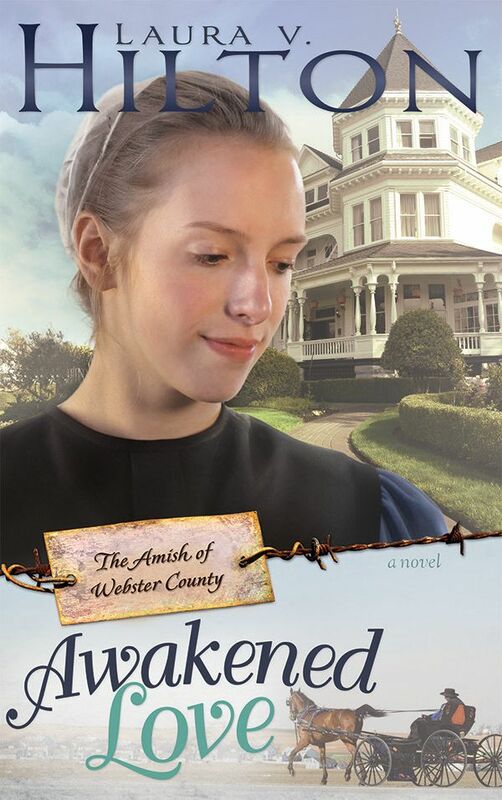 Laura’s previous Whitaker House books include The Amish of Seymour series: Patchwork Dreams, A Harvest of Hearts, and Promised to Another; and The Amish of Webster County: Healing Love and Surrendered Love. Awakened Love is the final book in the series. Laura is also a homeschooling mother, breast cancer survivor and avid blogger who posts reviews at: www.lighthouse-academy.blogspot.com. Katie Detweiler is excited when she’s hired to bake for a local bed-and-breakfast, especially because the shy young Amish woman will be able to work alone in the kitchen doing a job she loves. Circumstances change, however, and the job requires she also wait on customers, including a private investigator who tells her she is adopted and has a biological sister in need of a bone marrow transplant. She also meets 22-year-old Abram Hilty, an Amish man who has fled the drama of his community in Shipshewana, Indiana, for Seymour, Missouri, where he’s staying with his cousin Micah Graber. Abram is immediately attracted to Katie, but pursuing a relationship with her would be complicated because he’s come to the Amish of Webster County to hide from a girl he no longer cares about—and also from a cold-blooded killer. “Today I met the bu I’m gonna marry….” Patsy Swartz’s singsongy voice was too chipper. Bracing herself for an afternoon with the bubbly girl, Katie Detweiler climbed out of her daed’s buggy and turned to lift the cooler from the back. Her not-exactly-a-friend bounced up beside her, still singing away. Katie’s heart ached with a stab of envy. Daed snorted, in apparent disbelief. “Bye, Katie-girl. Have fun at the frolic.” He clicked at the horse and then pulled the buggy around the circle drive. Marriage? The new bu in town? Why was she the last to know these things? Katie hadn’t even known that Patsy had a beau. Wait—she didn’t. Just yesterday, she was bemoaning the lack of interesting men in her life. “When did you two meet? You didn’t mention him yesterday.” She adjusted her grip on the cooler handles and started toward the haus. Patsy ran across the driveway to where Mandy Hershberger stood by the open barn doors. Valentine’s Day? Was Patsy serious? Most weddings happened between November and January—never February, when the fields need to be prepared for planting. And wouldn’t the bishop have some reservations about Patsy’s marrying a man she’d known for, what, half an hour? Valentine’s Day was still a long ways off. It was only August. And Patsy probably would’ve moved on three times by then. But he was here, this mystery man Patsy planned to wed? Katie turned around and scanned the buwe playing volleyball, looking for a face she didn’t recognize. She didn’t see anyone new. Or maybe he just didn’t stand out. Patsy? Getting married? If Katie knew her at all, she’d be promised to this new bu in a short time. What Patsy wanted, she usually got. Even if they ended up calling it quits several weeks into the relationship. Katie sighed. It’d be nice if someone noticed her. And wanted her as a permanent part of his future. She headed for the haus to deliver the food. A long row of tables was set up inside the kitchen, already piled full. Katie set the cooler down next to the door, opened the lid, and took out a plate of chocolate chip cookies. She carried them to the table and set them down among the other desserts, then stepped back and surveyed the array of cookies and fried pies. Maybe she should’ve made something else besides cookies. But Daed wouldn’t mind if she brought the entire plateful back home again. Katie wasn’t so sure, except maybe to see what Patsy found so special about this mystery man. It was probably nothing more than that she hadn’t yet been courted by him, since she had gone with almost every other bu in the district. Oops. That was unkind. Katie found a smile. “Danki. I’ll find Micah.” Later. Their paths would probably cross sometime that afternoon. He usually made a point to say hi to her. Katie went to get the rest of the food out of her cooler when the door burst open. She gazed into knock-’em-dead blue eyes belonging to the most handsome someone she’d never seen. She stared at the stranger, her mouth open. His eyes met Katie’s again, and he nodded in greeting. Her heart pounded so loud, she worried he’d hear it. “Sorry, Aenti Lizzie. Don’t know what I was thinking.” He shook his head and backed out of the room, his gaze still locked on Katie, then turned and shut the door. Pretty? Lizzie believed he’d kum inside because he thought she was pretty? But he hadn’t stayed long enough to say hi. Or to ask her name. Not that it mattered. She probably would’ve been tongue-tied, anyway. Katie straightened, willing her heart rate to return to normal. A gut-looking bu she didn’t know. Micah’s cousin. He must be Patsy’s…whatever she’d call him. Maybe “her intended,” since she’d said she wanted to marry him. So, why did it matter what he thought? Her insides deflated like a popped balloon. Katie studied the dessert selection again. Disappointingly, other than the chips in her cookies, there wasn’t any chocolate in sight—unless some of the fried pies were filled with the delicious comfort. Abram Hilty shut the door behind him and took a deep breath to calm his pulse. He hadn’t even talked to the girl in the kitchen, didn’t know the sound of her voice, but there was something about her that his heart had recognized. “She’s pretty, jah?” Micah hoisted a cooler in his arms and started down the steps. Abram chuckled. “You do that. I’ll ask her out, too, and tell her how wunderbaar you are. Between the two of us, we’ll get her talking.” That would at least give him an opportunity to spend time with her. “That, and I’m currently between girls.” Abram winked. “I told Marianna I want a break.” Sort of. He did owe her some sort of explanation for his silence. After all, they’d been practically engaged—and he’d essentially stood her up. In hindsight, Ouch. But she’d been hounding him to make a commitment, dropping hints he couldn’t help but get. He could do worse, he’d supposed. And yet he’d fled. He needed to think. And that was impossible with her bringing him lunch every day, staying to eat with him, and getting into his buggy after every singing and frolic—without his even asking. He shook his head. What else could he have done? Abram shrugged. He wouldn’t complain if it did. “How could she not fall in love with you, with me singing your praises?” Of course, he’d try hard not to sing his own. Not that he had much to sing about. He frowned. How long before he was found out? “Works for me.” Abram set the picnic jug down on the table, then reached for a cup, held it under the spigot, and pressed the handle for a splash of iced tea. “Hi, Abram,” cooed a feminine voice. Abram cringed. Not another pushy female. He looked up at not one but two girls—a redhead he’d seen earlier that day, who beamed at him, and another with reddish-brown hair. He preferred Katie and her dark blonde hair. “Of course.” Lizzie slid a pan of brownies into the oven and then retrieved the utensil from a drawer. Lizzie opened the refrigerator, took out a can of 7-Up, and popped the top. “I need to go check on Emily. She isn’t feeling well.” She poured the fizzy liquid into a glass. “Sorry to hear that.” She liked Micah’s little sister. “Danki.” Lizzie left the room. Katie looked around. Maybe she could find some other way to assist. Helping would give her an excuse not to socialize. An alternative to standing beside the barn, ignored. At this point of her life, she was part of the scenery, the part no one looked at. Patsy said it was because she was too quiet. Because she wouldn’t cross the room to talk to any of the buwe; she waited for them to kum talk to her. And they wouldn’t. They had enough girls willing to chase them that they didn’t need to pursue the quiet ones. If that was the case, she’d be alone forever. A painful thought. But her best friend, Janna, had said that if a bu really liked her, it would be obvious, because he’d be hanging around. Janna should know. Her beau, Troy Troyer, hung around her plenty, and he’d even started baptism classes, so he could join the church—for her. Abram’s handsome face flashed in her mind. His heart-stopping grin. His easy confidence. Nein. She wouldn’t think of this—of him. It meant nothing. He was in Patsy’s sights. Katie opened her cooler and lifted out the salad bowl and a big bag of Fritos. She always waited to add the chips so that they wouldn’t get soggy before the salad was served. Katie set the bowl down on the table and tugged on the top of the Frito bag to open it. A warm breath tickled her ear. Abram? Her heart jumped, and her hands jerked in opposite directions, ripping the bag and sending Fritos high in the air. A few of the chips landed where they were supposed to, in the taco salad, but most of them now decorated the floor and the savory dishes nearby, including the egg salad sandwiches Patsy always brought. Katie’s face burned. She spun around, the almost-empty bag clasped in her hands. “I didn’t mean to scare you,” Micah said. He stood too close. Why couldn’t it have been Abram breathing in her ear? Admittedly, the end result would’ve been the same. A chatter of voices neared outside, and feet tromped on the porch. The latch clicked on the door, and the hinges squeaked. Katie resisted the urge to run from the room. It seemed everyone was coming inside to witness her humiliation. Abram entered, followed by Patsy and Mandy and a dozen or so others. Everyone looked at her. “I was hoping you’d be here,” Micah continued. There was someone who’d wanted to see her? Some member of the male species? Katie stared at him in shock. Patsy came over to the table and started picking Fritos off of her sandwiches. The hard kick to the shin she gave Katie was all it took to find her voice. She had spoken to a bu. Using multisyllabic words. Would miracles never cease? Patsy shook her head, evidently disappointed in her attempt at conversation. If only she would step in and speak on her behalf. But nein luck. With another shake of her head, Patsy dumped the Fritos in the trash and joined the group of females huddled around Abram. His harem. Katie frowned. She didn’t want to compete with so many for the minute possibility of a relationship with a man. Maybe it’d be better to find someone steady who paid attention to her alone. She glanced at Micah. He stared at her as if she’d sprouted antlers. Okay, maybe that wasn’t the kind of attention she wanted. A milkshake? Was he kidding? Katie glanced at the table, laden with the usual assortment of cookies and fried pies. Brownies still baked in the oven. With all these treats, who in his right mind would offer that incentive? He hadn’t given her a chance to answer the courting question before asking her out. Maybe he figured that someone as tongue-tied as she couldn’t possibly have a beau. He grinned. “I’ll look for you afterward. Sorry about your chips. I hope I didn’t ruin your”—he glanced at the bowl—“salad.” He turned away and started talking to Natalie Wagler. At least she could carry on her side of the conversation. A buggy ride with a man who wasn’t Daed…. Sighing, she glanced at Abram. His attention seemed to be focused on Patsy, whose hand rested on his upper arm. Katie swallowed and turned away. Micah wasn’t the Mr. Right of her imagination. But maybe he was the Mr. Right of her reality. Her very first date. Excitement washed over her. Maybe her life was about to change. What an amazing read. Just when you think you know mainly what the book it about, something else is thrown into the mix. Ok...then there is more, and then more. Not just a regular Amish romance story, although there is one, along with the bad, nasty, girl involved. Katie Detweiler is a shy, sweet Amish woman, she works at a B & B, as the cook. Katie's life is about to make a big change, she has been raised Amish by two wonderful parents, who love her. She did loose her beloved brother Noah in a tragic accident. Now life is about to change forever. Entering into this Missouri community is Abram Hilty, he is her visiting his Aunt and Uncle. He has a secret he is running from, but there is a much larger secret too. Will these two souls be able to forge a relationship together? Will Katie's future end up pulling her from her Amish Community? Will Abram be able to work out his problems? Or will he end up like his cousin? There are some really scary things that happen, and some really big surprises. This book does not disappoint nor does it loose your attention, and becomes a real page turner. Hailed as “the reigning queen of women’s fiction” (The Sacramento Bee), #1 New York Times bestselling author Debbie Macomber is renowned for her novels of love, friendship, and the promise of fresh starts. 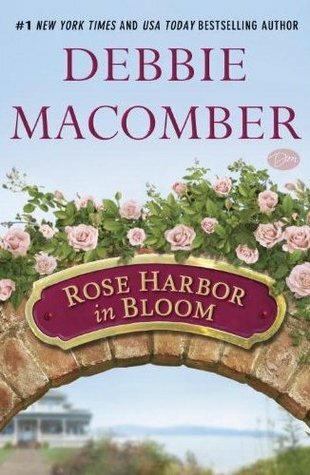 Now Macomber returns to the charming Rose Harbor Inn, where each guest finds a second chance and every room comes with an inspiring new view. Since moving to Cedar Cove, Jo Marie Rose has truly started to feel at home, and her neighbors have become her closest friends. Now it’s springtime, and Jo Marie is eager to finish the most recent addition to her inn. In memory of her late husband, Paul, she has designed a beautiful rose garden for the property and enlisted handyman Mark Taylor to help realize it. She and Mark don’t always see eye-to-eye—and at times he seems far removed—yet deep down, Jo Marie finds great comfort in his company. And while she still seeks a sense of closure, she welcomes her latest guests, who are on their own healing journeys. Annie Newton arrives in town to orchestrate her grandparents’ fiftieth wedding anniversary celebration. While Annie is excited for the festivities, she’s struggling to move on from her broken engagement, and her grandparents themselves seem to be having trouble getting along. Worse, Annie is forced to see Oliver Sutton, with whom she grew up and who has always mercilessly teased her. But the best parties end with a surprise, and Annie is in for the biggest one of all. High-powered businesswoman Mary Smith, another Rose Harbor Inn guest, has achieved incredible success in her field, yet serious illness has led her to face her sole, lingering regret. 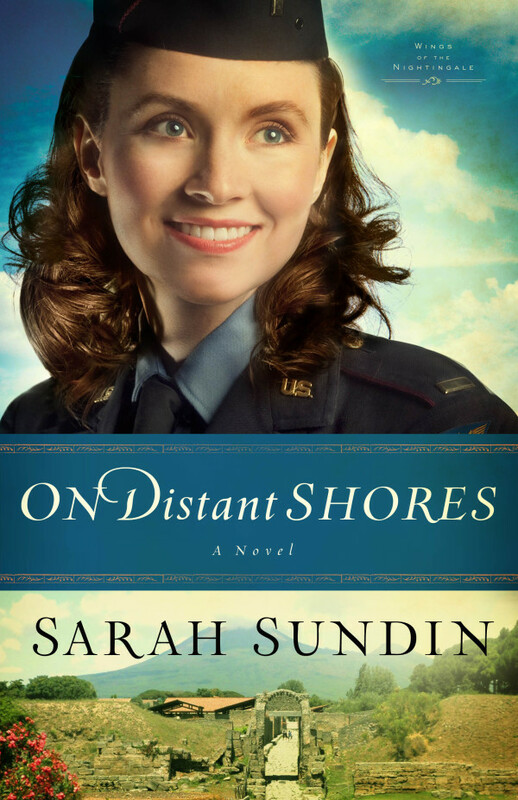 Almost nineteen years ago, she ended her relationship with her true love, George Hudson, and now she’s returned to Cedar Cove to make amends. Compassion and joy await Jo Marie, Annie, and Mary as they make peace with their pasts and look boldly toward their futures. Rose Harbor in Bloom is Debbie Macomber at her heartwarming best. Debbie Macomber is a #1 New York Times bestselling author and one of today’s most popular writers with more than 170 million copies of her books in print worldwide. Macomber brings to life the compelling relationships that embrace family, community and enduring friendships, filling her readers with a sense of love and hope. Macomber is the author of more than 100 novels, most recently the instant #1 New York Times bestseller Starting Now, and The Inn at Rose Harbor; two bestselling cookbooks; numerous inspirational and nonfiction works; two acclaimed children’s books and the Mrs. Miracle Christmas novels. She is also the author of beloved and bestselling series of novels set in Cedar Cove, Washington (such as 16 Lighthouse Road, 204 Rosewood Lane, 311 Pelican Court) on which Debbie Macomber's Cedar Cove, Hallmark Channel’s first dramatic scripted television series, is based. She is the recipient of a RITA® award; an RT Book Reviews Lifetime Achievement Award, and is a multiple winner of both the Holt Medallion and the B. Dalton Award. In 2010, the Romance Writers of America presented Macomber with their prestigious Nora Roberts Lifetime Achievement Award. Her next novel to be published will be ROSE HARBOR IN BLOOM (August 13, 2013). 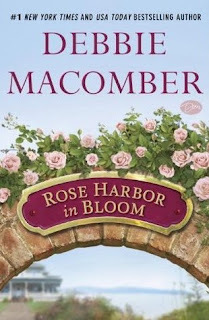 In addition to her bestselling novels, Macomber owns her own tea room, Victorian Rose Tea Room & yarn store, A Good Yarn, named after the shop featured in her popular Blossom Street novels. She and her husband, Wayne, serve on the Guideposts National Advisory Cabinet, and she was recently named World Vision’s international spokesperson for their Knit for Kids charity initiative. A devoted grandmother, Debbie and her husband Wayne live in Port Orchard, Washington State (the town on which her Cedar Cove novels are based) and winter in Florida. Another of Debbie's books that drew me in, and I didn't want to leave. It is almost like I live in Cedar Cove. Jo-Marie now has her Inn up and running, with a lot of help from grumpy Mark, Jack of all trades and major fixer. After a phone call she is now hanging on to a hope that her husband Paul, may still be alive?? We meet Annie who is here to put on a wonderful 50th anniversary celebration for her Grandparents. Who brings them...oh no. It's that horrible next door neighbor who pick on her terribly as a child and teen. She wants nothing to do with him. She is also just broken her engagement..for the second time to Lenny, a cheating man. Lets hope she doesn't go back to him. We also meet Mary, who came from New York City for the weekend. A far trip for a woman under cancer treatments. Why would she risk her health to come so far for so little time?? There are answers here. We also find out about some of the folks that we met in the first book, and have meetings with some of our old Cedar Cove friends. Love it!! Cozy up for a wonderful read and kind of a reunion to the fantastic town of Cedar Cove. I received this book through Edelweiss Reviewer Program, and was not required to give a positive review. 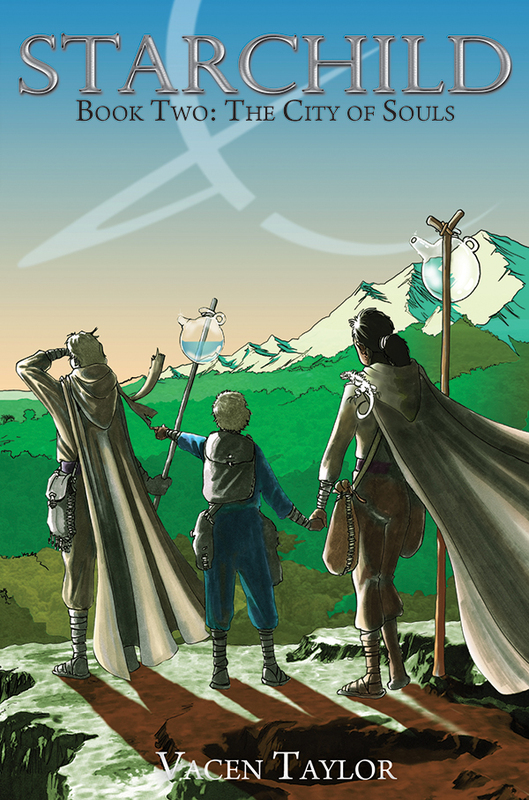 In The Age of Akra, a pilgrimage to the Valley of a Thousand Thoughts brings together four children as an ancient prophecy is set in motion. Having triumphed against dangerous adversaries, Mai, Long, Akra and Sahib are now pursued by the melkarie and must escape to the City of Souls. In the land of Naroan, in a city hidden under a blanket of living green, they are confronted with the challenge to find the Singing Soul. But the underworld has other plans, and a beast so fierce is conjured to stop the children from finding anything that will add to the power to the prophecy of the seven nations. Vacen Taylor is an author, writer, storyteller, occasional artist and amateur photographer. She describes her writing as a basic prose style with the occasional splash of creative penning. She collects comics and loves superheroes, anime and science. Open only to those who can legally enter, receive and use an Amazon.com Gift Code or Paypal Cash. Winning Entry will be verified prior to prize being awarded. No purchase necessary. You must be 18 or older to enter or have your parent enter for you. The winner will be chosen by rafflecopter and announced here as well as emailed and will have 48 hours to respond or a new winner will be chosen. This giveaway is in no way associated with Facebook, Twitter, Rafflecopter or any other entity unless otherwise specified. The number of eligible entries received determines the odds of winning. Giveaway was organized by Kathy from I Am A Reader, Not A Writer http://iamareader.com and sponsored by the publisher. VOID WHERE PROHIBITED BY LAW. A Bible story for every day-365 of the best-loved Bible stories fully illustrated in a classic style will become favorites for children and parents alike, with each story divided into easy-to-read sections with the day, heading, and Scripture reference. Children are encouraged to spend family time together reading a new story each day. Old Testament: From the Story of Creation to Isaac, from Joseph to Ruth, from Job to David, from Elisha to the Prophets. New Testament: From John the Baptist to the story of Jesus, to the story of the Apostles, to John's Vision of Heaven. Alan Parry is a published author and an illustrator of children's books and young adult books. Some of the published credits of Alan Parry include My First Big Book of Bible Stories, My Eerste Groot Bybelstorieboek, Children's Bible Story Book. 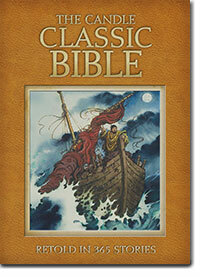 The Candle Classic Bible is a beautifully illustrated companion Bible. It is for eight and above. Why? I did read this to my six and eight and ten year old boys, but had to leave out some of the killing, yes I know that is what really happened, but it is hard to put little ones to bed with it. Now our ten year old is perfect for this, it is a wonderful way to share family time and bible reading. It is set up for a years worth of Bible stories for 365 days. What a wonderful addition to our library, and will be well used here. Once we start reading, we rarely stop at one story. They want more! It is written for them, and love that they we are sharing God's words with them. Thank you Kregel for my copy of this treasured book, it is a keeper, and will be well used. I received this book from the Pubisher Kregel, and was not required to give a positive review. Scarlet Lindsey is busy making her dreams come true. 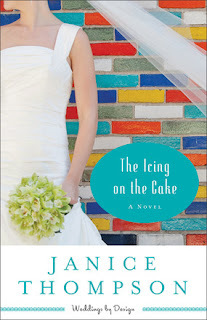 She's moved her bakery to a prime spot on Galveston's most popular street, she's planning an extravagant cake for her best friend's wedding, and she has a great relationship with Bella Neeley, the island's most popular wedding coordinator. Business is booming and Scarlet is enjoying the ride. But when Bella's dangerously handsome brother Armando breezes into her life, Scarlet is faced with a sticky situation. Should she stay with the safe, sweet guy who's been a fixture in her life for years? Or will this brash Italian hunk melt her guarded heart? Fan favorite Janice Thompson is back with more wit, more weddings, and more of what you love best--bridal-business drama laced with laughs. ack with some beloved friends, and making some new life friends. We are back with Club Wed, and following the wedding from the last book Wedding Perfect. Hannah is getting ready to marry Drew, and Scarlet Lindsey is her maid of honor. She is also making the cakes for the wedding, both the brides and grooms cake. Bella who runs Club Wed, has a brother, who doesn't fit in with the rest of the family, Armando, but when a family crisis happens he comes to the rescue. He ends up next door to Scarlet's new bakery, running the family pizza shop. Be ready for some more family emergencies, and for Aunt Willy's arrival in the picture. There are some really funny happenings, and some very unexpected things. Maybe we will learn the secret family recipe, under lock and key? The Italian Cream Cake with Cream Cheese Frosting...I want a piece!! In between running the bakery, and doing a TV contest, she is committed to helping her Dad run a show to raise money for the kids in their church to go to Guatemala. She is one busy girl, and with all of this she decides to diet?? Funny!! 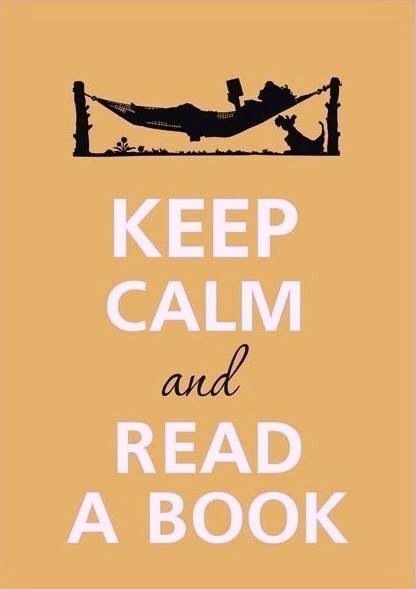 Sit down for a cozy and great read, you will not be getting back up until you are finished. Enjoy!! I received this book through the Revell's Blogger's Tour, and was not required to give a positive review. Book one in Suzanne’s brand new series; The Inn at Eagle Hill. 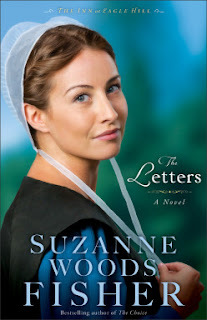 With her signature plot twists combined with gentle Amish romance, bestselling author Suzanne Woods Fisher invites readers back to Stoney Ridge for fresh stories of simple pleasures despite the complexity of life. Fisher’s tale of God’s providence and provision will delight her fans and create many new ones. Welcome to the Inn at Eagle Hill. Suzanne Woods Fisher is the bestselling author of the Inn at Eagle Hill series, Lancaster County Secrets series, and the Stoney Ridge Seasons series, as well as nonfiction books about the Amish, including “Amish Peace.” She is also the coauthor of a new Amish children’s series, The Adventures of Lily Lapp. Her interest in the Anabaptist cultures can be directly traced to her grandfather, who was raised in the Old Order German Baptist Brethren Church in Franklin County, Pennsylvania. Suzanne is a Carol Award winner and a Christy Award finalist. 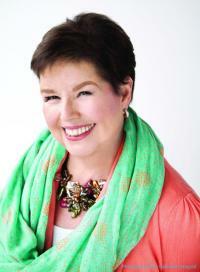 She is a columnist for Christian Post and Cooking & Such magazines. She lives in California. For more information, please visit suzannewoodsfisher.com and connect with her on Twitter @suzannewfisher. Get Amish proverbs delivered right to your mobile device! Download the Free App! 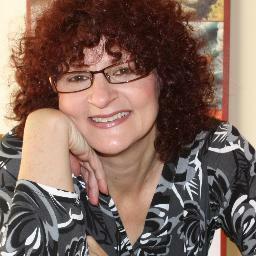 http://bit.ly/10Tygyi Find out more about Suzanne at http://suzannewoodsfisher.com/. In a time when direct consumer contact is ever critical, Litfuse has become a key partner for Bethany House. They truly understand how to make some noise, and we are listening! Welcome to the Inn at Eagle Hill. With her signature plot twists combined with gentle Amish romance, bestselling author Suzanne Woods Fisher invites readers back to Stoney Ridge for fresh stories of simple pleasures despite the complexity of life. The Letters is a tale of God’s providence and provision and will delight her fans and create many new ones. 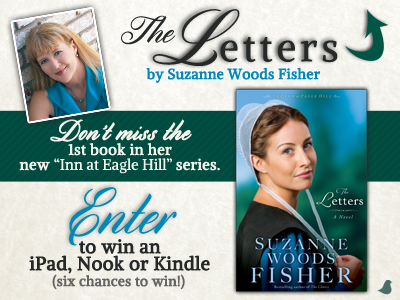 Suzanne is celebrating the release of the first book, The Letters, in her new series by giving away 2 iPads, 2 Kindle Fires and 2 Nook HDs! Wow! A Kindle Fire HD or a Nook HD – winner’s choice! Enter today by clicking one of the icons below. But hurry, the giveaway ends on August 17th. All winners will be announced August 19th at Suzanne’s blog. Such a wonderful story, that I never wanted it to end, and as it is book one, I can't wait for the next. We are back in Pennsylvania, and are with Rose Schrock, and her family. They are living with her cantankerous Mother-In-Law. She is one grouchy person, and seems to enjoy doing so. On another hand she is laid up and cannot use her body like her mind wants her to. According to her doctors, she has had several strokes. Rose is caught between a rock and a hard place, her husband has died, and she hasn't any money. She has been a Mom to his her husbands first two children, from his first wife, and she a two sons and a daughter. That keeps her very busy. There are some bright spots in this story, and some that a actually quite funny. Some people come here in great pain, but the calming effects of their surroundings and the people, seem to help a great deal. There is even a fellow interested in Rose, Galen, her next door neighbor. He is such a giving person, and tries to help Rose out....actually a lot! There are a few other people here that we meet and also want to be friends with. Come along and journey into the real home life of some wonderful Amish folks. You also won't want to leave.